born bibliophile: Dang, Broke My Promise! I am sorry I haven't posted, as I promised I would last time. If I told you what all I've been doing since my last post, you wouldn't believe me. Heck, I don't even believe me. All is better now, though. Work didn't let up, I just got my priorities in the right order again. 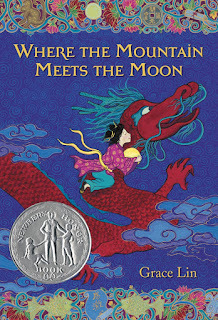 I was recently given a copy of a lovely book entitled Where the Mountain Meets the Moon by Grace Lin. The book is a treat, no matter your age, but I'd say it's written for pre-teens. It has a beautiful cover and a few colorful treasures on the inside, as well. It's a life lesson for us all, showcased through the quest of a young girl who seeks to improve her family's fortune. 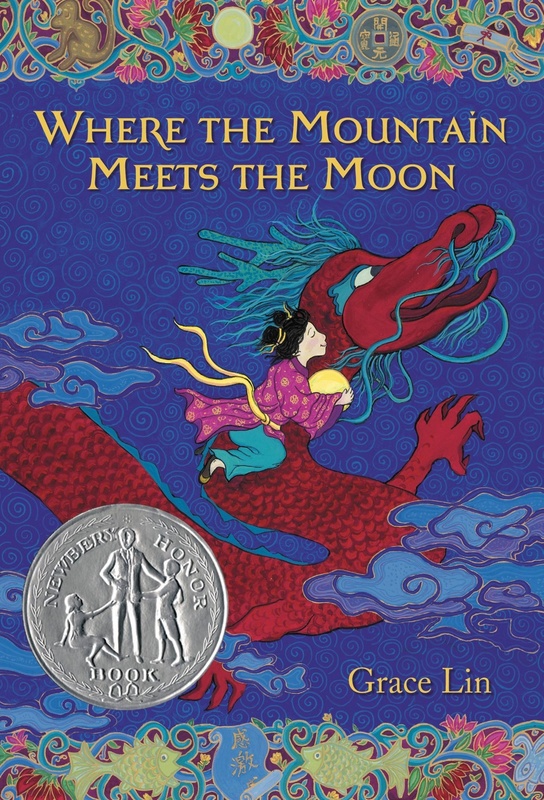 She learns many folktales along the way, so it's many stories within the story. It's one of those books filled with simple wisdom, which we all need reminding of from time to time. I liked it so much I bought another copy for my classroom bookshelf. 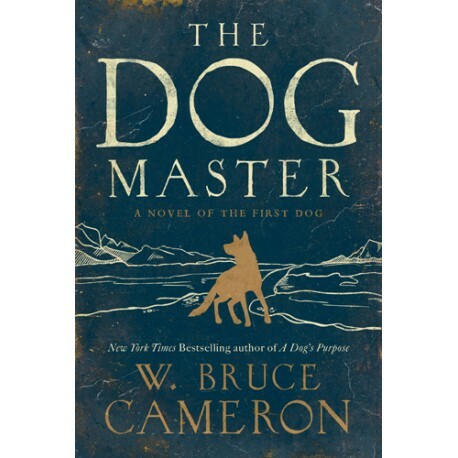 I am currently reading The Dog Master by W. Bruce Cameron, and I just have to talk about this book before I've even finished it. I've never come across a book that sounds so boring when I try to describe it, and it is anything BUT boring! I am already halfway through the book, and I am absolutely enthralled! I know nothing about the author, and I knew nothing about the book before I began reading it. I actually had a student who handed it to me on Friday and said, "You need to read this." (He's a young man of few words.) It is an adult book, but he reads on an advanced, high level. I honestly didn't expect to be crazy about the book. I simply started reading it this weekend because my student wanted me to. Now? I am completely hooked! And before you get the wrong idea, let me try to explain something. I'm not an over-the-top animal lover. I never (and I do mean NEVER) read books where a dog plays a main role. Don't get me wrong, I like dogs just fine. I just don't treat them like humans because they aren't. I have nothing against people who feel that way, I'm just letting you know that I don't love this book because I'm a huge dog lover. I love this book because it is well-written, intriguing, suspenseful, violent, passionate, and makes me want to beat up a few characters. Yes, it really is that good,...but I would never have believed it if I wasn't reading it myself. And reading the stuff on the back cover doesn't help you figure out how good it is, either. I don't like to talk about a book until I've finished it, but there's no way this author could disappoint me. If it all went down hill from here (which I know it won't), I'd still give it a good review just based on the first half. Yes, I like it THAT much. So, if you'd like to step out of your comfort-zone-genre, and I always encourage readers to do that, I think you should check it out. I promise it's like nothing you've read before. If it is, please post and tell me another book like it...because I will definitely want to read that one, as well. Man, it is nice to get a recommendation from a student!! I teach science, but still encourage reading. However, getting the majority of students to read is like pulling teeth. I'm currently (and always will be) looking for more books in my classroom library. I just went to literature in science professional development. I'm going to be looking out for more science (it is life) themed books. As always, I enjoy reading your posts. Even though I don't always have time to respond and post a message. I know you understand this, considering your parting comment about papers to grade. The life of a teacher never slows down...until summer occasionally. Hi, Laura! :) Yes, you're right - the life of a teacher never slows down during the school year, and - nowadays - only partially during the summer, thanks to additional teacher trainings in the summer months. I should tell you, while The Mountain Meets the Moon is good for your classroom bookshelf, The Dog Master is not. Yes, it was recommended by a well-read, bright middle school student, but I wouldn't recommend it to other middle school students. I would definitely recommend it to adults, though, and maybe junior/seniors in high school.